The Logins for Integrations view allows you to view and configure the social media accounts that have been given access to your LightArrow app. Q. How do I setup the Social Integrations: Twitter, Facebook? 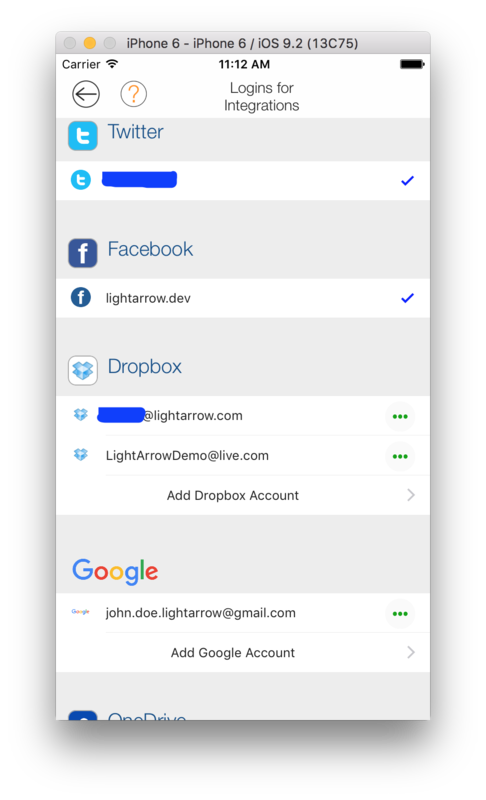 The view also gives you central access to your accounts for LightArrow app integrations. 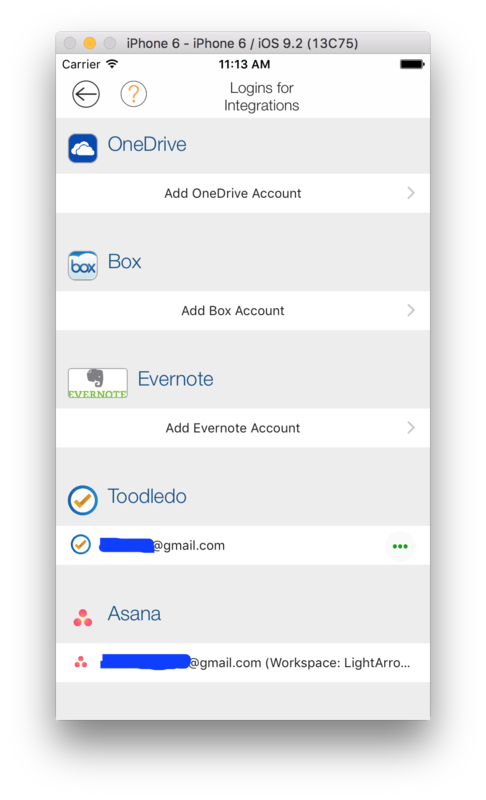 You can provide access to Dropbox™, Google Drive™, One­Drive, Box™, Evernote®, Toodledo®, and Asana™. Go to Settings -> Logins for Integrations. In the Dropbox section, tap Add Dropbox Account. Enter your credentials and grant access. In the Google section, tap Add Google Account. In the OneDrive section, tap Add OneDrive Account. In the Box section, tap Add Box Account. In the Evernote section, tap Add Evernote Account. In the Toodledo section, tap Add Toodledo Account. Enter your credentials and tap Sign In. In the Asana section, tap Add Asana Account.